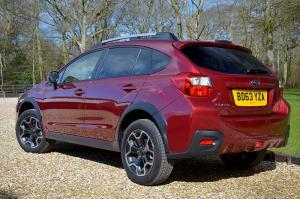 Originally launched in the UK in 2012, the Subaru XV is a sort of anti-hero for the crossover market. 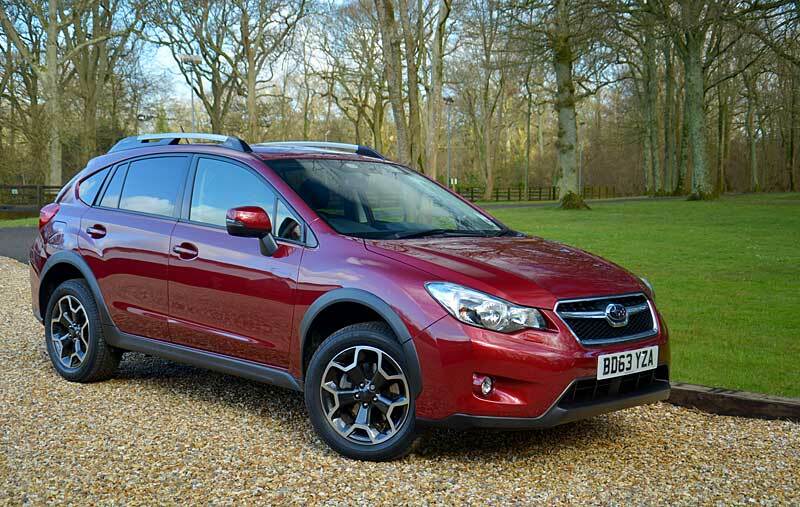 While most crossovers, led by the Nissan Qashqai, fulfil their brief for practical family accommodation first and add any pretence of off-road credibility as a distant second, the XV offers the reverse of this. 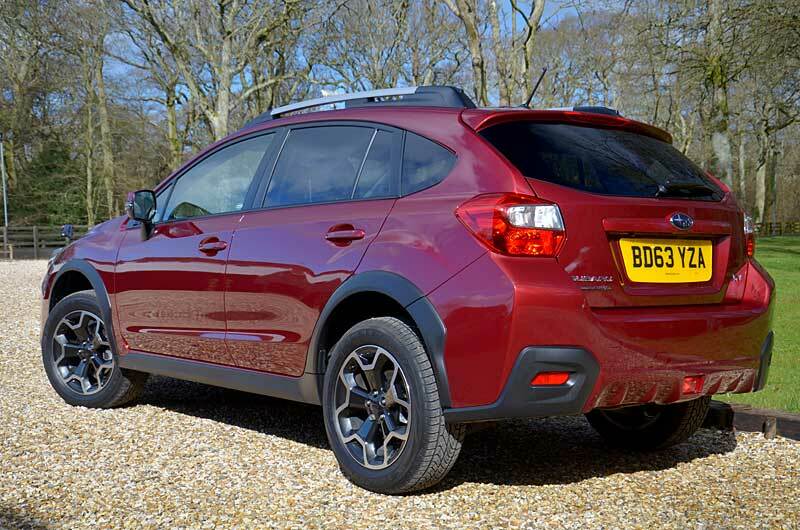 Sharing much with the Subaru Impreza (destined to make its UK come-back later this year), the XV starts with a well-proven all-wheel-drive system and a class-beating 220mm of ground clearance, and goes on to add a surprisingly light-weight yet edgily-styled five-door body shape. 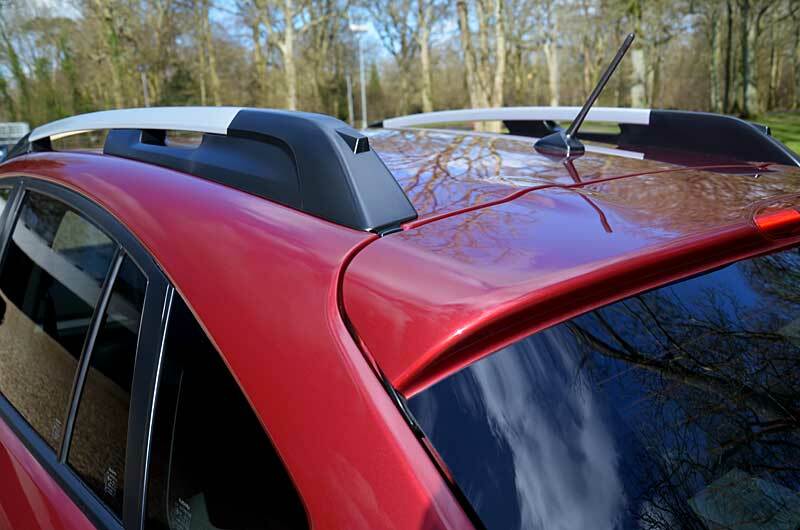 It’s quite a neat piece of styling, with angular headlights, flared wheel-arches with black-plastic cladding, and an especially chunky-looking set of roof-rails. The chunky design continues in the cabin, particularly with the knurled controls for the ventilation system that look like they could be easily used while wearing Arctic gloves. If you’re wearing gloves because you actually are in the Arctic you’ll also appreciate typical Subaru practical touches such as the wiper de-icers and the heated seats. The instrumentation is clear and easy to read, with the display for the ventilation system joining that of the incredibly well-featured trip computer on top of the dashboard, where it requires only the slightest of glances away from the road. 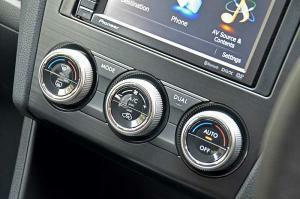 Only the optional aftermarket Pioneer navigation system lets the side down. 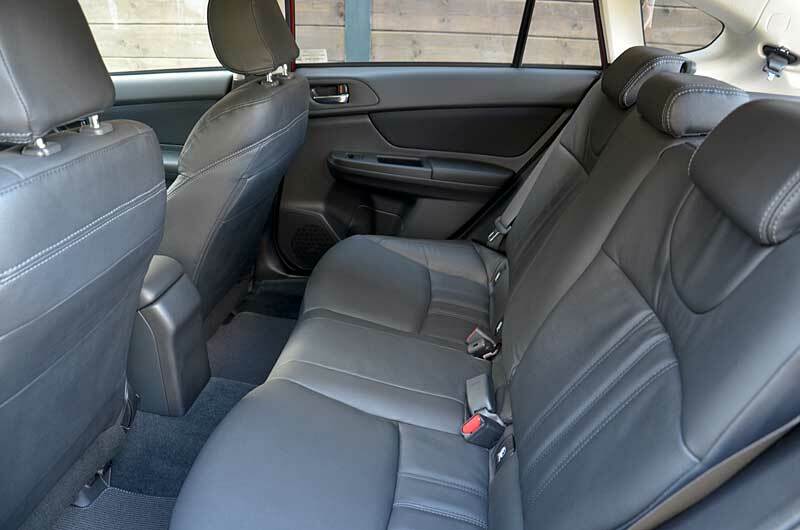 Still, there’s plenty of adjustment in the well-padded seats, and both reach- and height-adjustment for the steering wheel, although the position of the handbrake can make clambering out a little tricky for tall drivers. 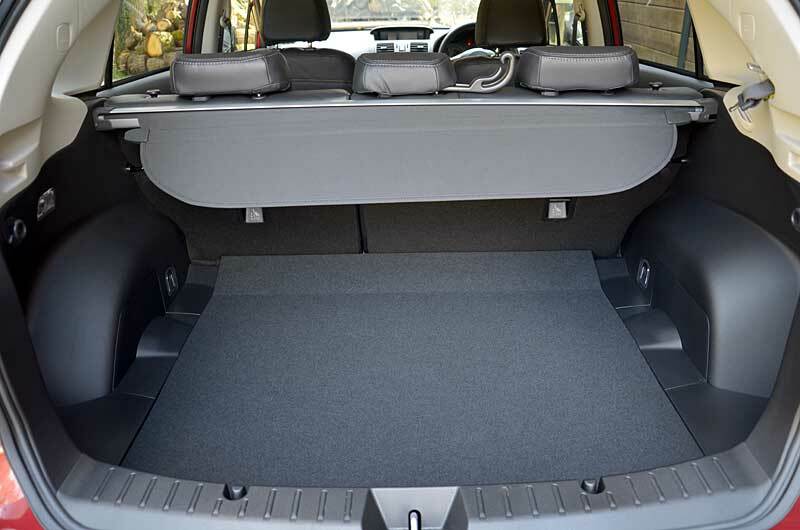 Entry and egress for rear-seat passengers is made easy thanks to wide opening doors, and with the rear seats folded boot space increases from 380 litres to 1,270 litres. There’s a good selection of hooks and tie-down points, plus a handy storage compartment under the floor. 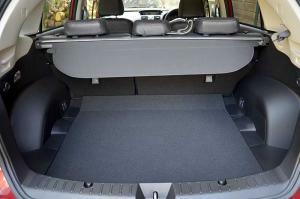 There’s a spot to stow the retractable load cover when it’s not in use, although it creates something of a ramp in the boot floor instead of tidying away completely as with the Forester and Outback. 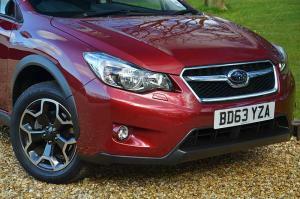 Subaru have made a number of changes to the oily bits for 2014, most of them aimed at offering greater refinement. The 2.0-litre petrol engine receives modifications to its valve gear while extra sound-proofing has been added to the engine bay of both the petrol and diesel models. The suspension has been revised to improve the ride and offer greater stability at speed, while the steering has been fine-tuned to provide a more linear response. 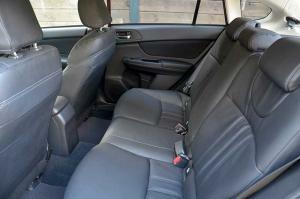 The suspension changes seem quite successful, with bumps absorbed without intruding too much on the calm of the cabin, and body roll well controlled and progressive. 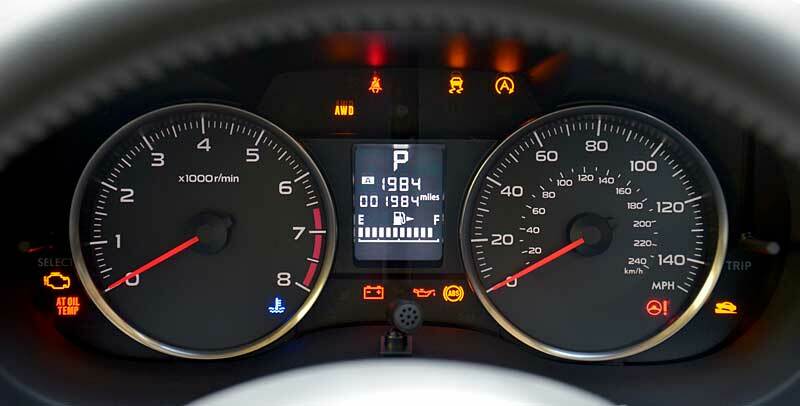 The steering, however, still exhibits a slight over-eagerness either side of the straight-ahead position that can require a little extra concentration on a motorway. That eager response is evident in the throttle, too, with our Lineartronic-equipped petrol XV positively leaping off the line at the merest press of the pedal. It doesn’t take long to grow accustomed to, though, and together these points make the XV feel alert and responsive. The CVT-based Lineartronic transmission is certainly no slouch around town, although it does still fall into that unfortunate habit of sounding like it’s suffering from permanent clutch slip when you put your foot down, an affliction it managed to avoid when we tested it with the diesel engine on the Outback. It’s somewhat lethargic at gathering pace during an overtake, too. 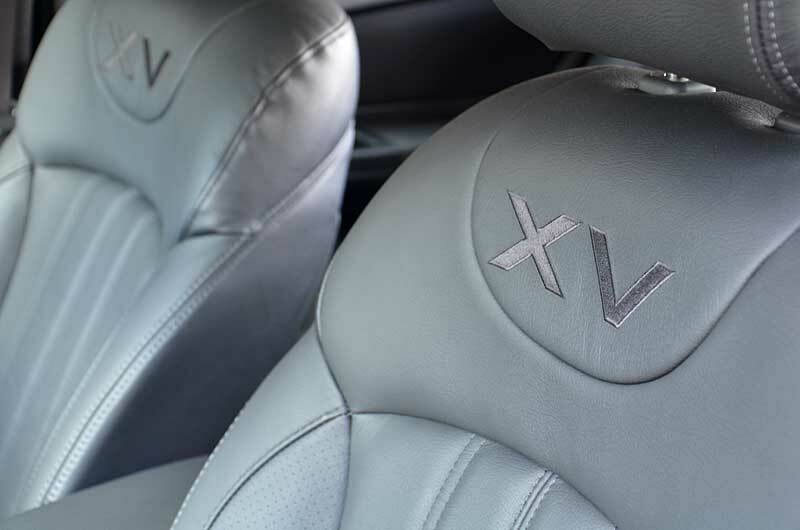 The 2.0-litre petrol engine’s 150PS propels the XV from 0-62mph in 10.5 seconds (10.7 secs for the Lineartronic model), and although we couldn’t match the government economy figure of 42.8mpg, we averaged a respectable 37mpg during our testing. The 2.0-litre diesel has an almost identical 147PS, but with torque of 350Nm (versus the petrol’s 196Nm) it’s unmistakably the quicker of two, completing the 0-62mph benchmark in 9.3 seconds. 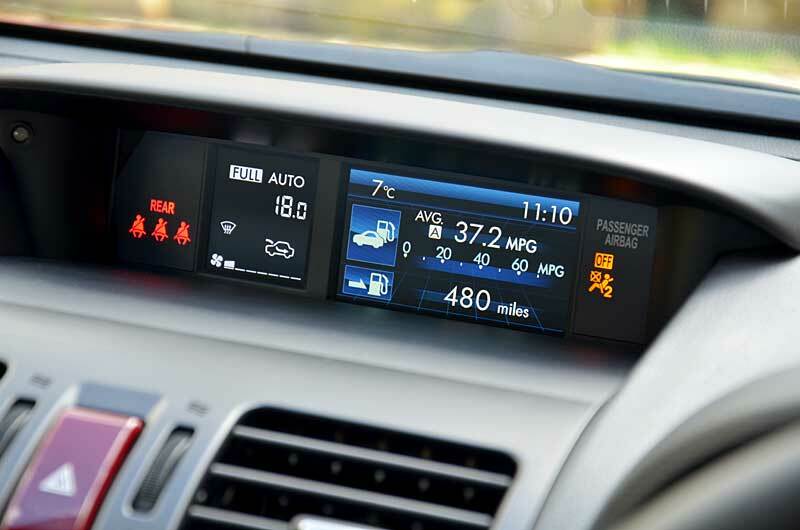 Add-in economy of 50.4mpg and CO2 emissions of 146g/km, and it begins to be the more practical choice, as long as you’re happy with the manual-only transmission. Away from the tarmac, the XV’s standard all-wheel-drive system distributes torque equally between the front and rear axles, with a viscous coupling on manual models or an electronically-controlled clutch on CVT versions automatically adjusting the front/rear distribution depending on the available traction. Although the system doesn’t provide a low-range transfer case as with Subarus of old, it’s still one of the most proven 4WD systems available and, coupled with the all-season tyres, is unlikely to be troubled by anything the Great British weather or our crumbling road network can throw at it. Indeed, during testing on our forest route, the XV maintained traction in areas that saw other 4x4s start to spin a wheel before their brake-based traction control systems kicked in. 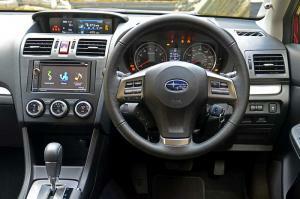 For 2014, the Subaru XV range has been slimmed down to just two grades: SE and SE Premium. 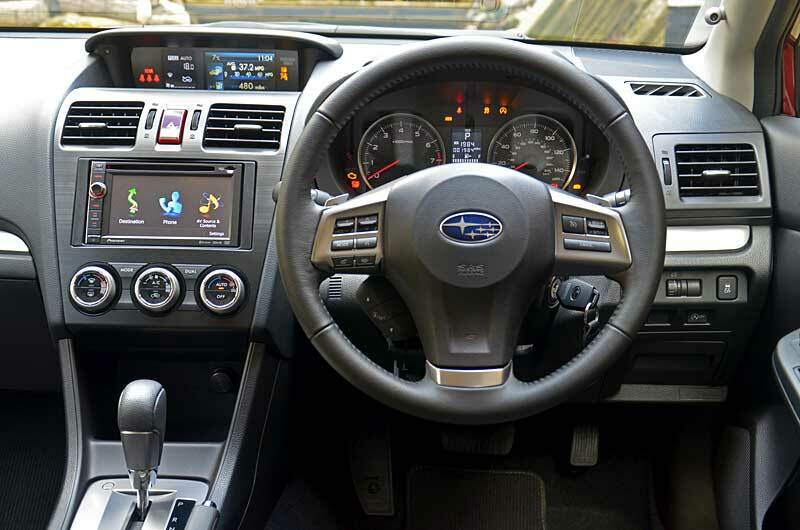 Both are what you might call ‘fully loaded’ with automatic wipers and HID headlights, cruise control, climate control, and a reversing camera as standard, while the SE Premium adds leather seats and a Pioneer navigation system. 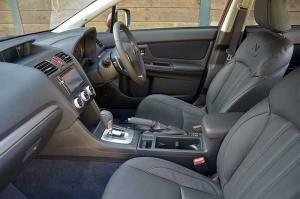 Prices start at £21,995 for the petrol and £23,995 for the diesel, placing it on par with the likes of the Mitsubishi ASX, yet easily undercutting a 4WD-equipped Nissan Qashqai. Throw in the XV’s standard five-year, 100-000 mile warranty, the network of enthusiastic and experienced dealers, plus Subaru’s reputation for generally being able to screw things together properly, and the XV becomes an intriguingly quirky yet thoroughly capable option for those that need more than a mere pretence of being able to venture out into the great outdoors.